Your use and browsing of the Site is at your risk. No attorney client relationship is formed unless expressly agreed to and fee is paid. If you are dissatisfied with any of the Materials contained in the Site, or with any of these Terms and Conditions, your sole and exclusive remedy is Stop accessing the Site. 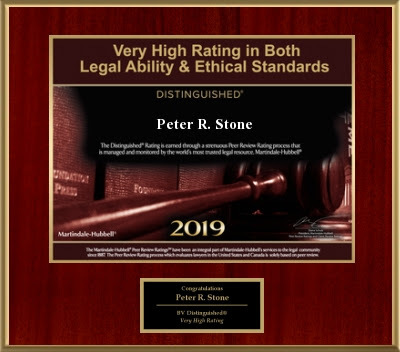 TO THE FULLEST EXTENT PERMISSIBLE PURSUANT TO APPLICABLE LAW, NEITHER PETER STONE, PETER ROBERT STONE, ATTORNEY AND COUNSELOR AT LAW, A PROFESSIONAL CORPORATION (“PRS”) NOR ANY OTHER PARTY INVOLVED IN CREATING, PRODUCING, OR DELIVERING THE SITE IS LIABLE FOR ANY DIRECT, INCIDENTAL, CONSEQUENTIAL, INDIRECT, OR PUNITIVE DAMAGES ARISING OUT OF YOUR ACCESS TO, OR USE OF, THE SITE. WITHOUT LIMITING THE FOREGOING, EVERYTHING ON THE SITE IS PROVIDED TO YOU “AS IS” WITHOUT WARRANTY OF ANY KIND, EITHER EXPRESSED OR IMPLIED, INCLUDING, BUT NOT LIMITED TO, THE IMPLIED WARRANTIES OR MERCHANTABILITY, FITNESS FOR A PARTICULAR PURPOSE, OR NON-INFRINGEMENT. You specifically acknowledge and agree that PRS is not liable for any defamatory, offensive or illegal conduct of any user. PRS also assumes no responsibility, and shall not be liable for any damages to, or viruses that may infect, your computer equipment or other property on account of your access to, use of, or browsing in the Site (including any Bulletin Board) or your downloading of any Materials from the Site. Or sending email to or from the site. All persons accessing this site agree that it is to be regulated under California law,and that venue and jurisdiction for any action under this agreement or for any use of the site shall be at Sacramento, California. All persons accessing the site from any state where such a site is not allowed shall immediately leave the site. This site is located in Sacramento, California and all users of the site are deemed to be and agree they are “in” Sacramento when accessing the site. No representation is made that the quality of the legal services to be performed is greater than the quality of legal services performed by other lawyers. The hiring of a lawyer is an important decision that should not be based solely upon advertisements. Before you decide, ask us to send you free written information about our qualifications and experience. A description or indication of limitation of practice does not mean that any agency or board has certified such lawyer as a specialist or expert in an indicated field of law practice, nor does it mean that such lawyer is necessarily any more expert or competent than any other lawyer. All potential clients are urged to make their own independent investigation and evaluation of any lawyer being considered. Fees are negotiable and not set by law (except in some instances which will be discussed upon consultation). 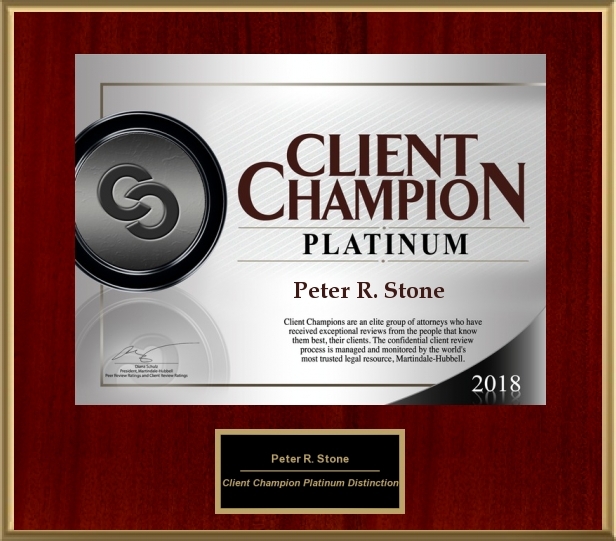 Any certificate, award, or recognition by a group, organization or association used by an attorney to to describe his or her qualifications as a lawyer or qualifications in any subspecialty of law is not a requirement to practice law.